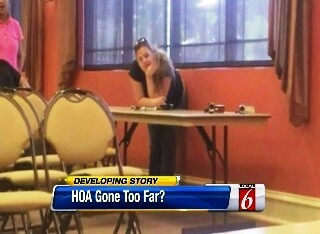 State attorney will decide if charges will be filed against HOA president. KISSIMMEE, Fla. - Local 6 has confirmed that the Osceola County Sheriff’s office is seeking petit theft larceny charges against the homeowners association president, who is accused of stealing resident trash cans in plain view from homes. A spokesperson tells Local 6 a detective spoke to the Turnberry Reserve subdivision HOA president Sherry Raposo, who said she ordered the removal of an estimated 80 trash cans and recycling bins from resident’s homes on Aug. 23.
counts of petty larceny against Raposo Wednesday morning. 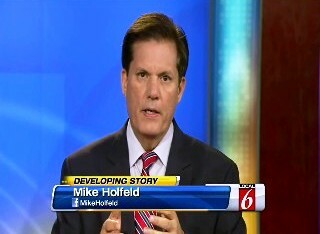 The state attorney received the request from the OCSO less than 24 hours after Local 6's exclusive story aired. Seven complaints were made and 3 of the residents wanted to push forward. Petit theft charges, a misdemeanor charge, was presented by detectives instead of grand larceny, which would be a felony. Any theft of more than $350 would bring it to the grand larceny felony level. Residents say Raposo has been running the HOA from Arizona. The state attorney will review the case and decide if a warrant will be issued against Raposo. It’s not clear when the State Attorney will make a final decision.